Dr. Spivey is a graduate of the Southern College of Optometry, a Member of the American Optometric Association, Tennessee Optometric Association, and the Northwest TN Optometric Association. This year he was honored by the Souther College of Optometry with a Lifetime Achievement Award! He is a Member/Deacon of the First Baptist Church in McKenzie. Dr. Al is a Member/Past President of the McKenzie Lions Club. Dr. Al started practice in 1967 and was honored as NWTOA Optometrist of the Year 1977 as well as Tennessee Optometrist of the Year 1980. He served 10 years on the Tennessee Board of Examiners of Optometry. He a past member of the National Board of Optometry, Clinical Skills Committee, and the Part III Council. He currently serves as the Tennessee State Representative for VSP. Also, he is a member of the medical staff of Regional Hospital of McKenzie. Dr. Al and his wife, Vee, have two sons--Kelly Spivey and Dr. Scott Spivey. He enjoys hunting, fishing, and playing with his five grandchildren. 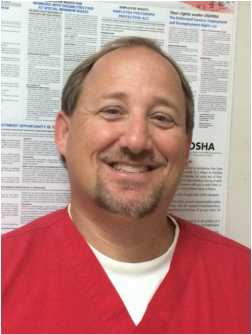 Dr. Scott Spivey is a graduate of the Southern College of Optometry, a Member of the American Optometric Association, the Tennessee Optometric Association, and Past President of the Northwest TN Optometric Association. He is a Member/Past President of the McKenzie Rotary Club. Dr. Scott started practice in 1994. He is a member of Regional Hospital of McKenzie Medical Staff. He is a clinical examiner for the National Board of Optometry. Dr Scott currently serves on the Tennessee Board of Optometry. He has served as a Deacon at First Baptist in McKenzie. He enjoys golf, hunting, camping, and coaching various children's teams. He and his wife, Dr. Jennifer Spivey, have 3 beautiful children: Brooke, Kelsey, and Luke. Brooke is currently attending the Southern College of Optometry, Kelsey is a student at Union University, and Luke is a student at UTM. Donna is a Registered Optometric Assistant and Certified Contact Lens Examiner nearly 30+ years in the health-care field. She has previously received Tennessee Paraoptometric of the Year. Donna is married to Ken Finley, a supervisor for H&M Construction, and has 2 lovely daughters, Beth & Pamela. She is blessed with two special grandchildren, Zane and Kenzie Beth, the children of Beth and her husband,Dustin in Missouri. Beth teaches Geometry in New Madrid, MO. Her daughter Pamela is an Oncology NP living in Tampa, Florida with her husband, Dr. Tim Kubal. Allison is a Certified Paraoptometric and fully trained in optical laboratory procedures and frame styling. She strives to keep our frames the newest and best quality! Allison is the one to see to find the latest styles and lens options. She is also a past Tennessee Paraoptometric of the Year. Allison is married to Brian Craddock, a part-time coach and an employee of Granges. They have two sweet daughters: Carla and Claire who are extremely active in sports and friends. Carla is a student at Bethel University, and Clarie attends McKenzie High School. Robyn is one of the smiling faces you will see at the front desk. She has over 15+ years in the healthcare field and will always be happy to assist you! She is an expert at the reception area--be sure to keep her updated with your information changes! Robyn is married to Kevin Lasater and has one lovely daughter, Renee', a graduate of the Memphis College of Art working currently with StyleCraft in Southhaven, MS. Be sure to watch for her at Renaissance Fairs--she is likely to be there! Bridget is one of our effcient clinical staff members! Bridget will be getting your vision information and updating your medical information for the doctors. Everyone loves her smile! She is also our surgery coordinator and keeps your scheduling of surgery as easy as possible. Bridget has two beautiful daughters -- Kaytlyn and Emily. Rachael is the pleasant staff member that you will see in our Business Office. She is always ready to help you with your account and able to present to you several payment options with a smile! Our other smiling face at the front desk! Tabithia comes to us from Vanderbilt with years of experience in insurance benefits and patient service. She will be checking your insurance benefits so that you can take full advantage of your insurance. Tabithia is married to Josh Martin and has a beautiful daughter --Layla. Kourtney is one of our optical staff members. She is also knowledgeable with contact lens. Her good humor and laugh will be easy to spot--or hear! Kourtney is married to Joseph, who is a hemodialysis technician at Fresenius in Martin and her "fur baby" Mei (their lab). Kourtney loves painting and has a wonderful voice! Be sure to encourage her in her newest venture of speaking Japanese! Rachel is one of our clinical staff members. She will be gathering your medical information and vision for the doctors with a smile! She has assisted patients with their testing as well as helping them in the business office. Rachel has worked in the medical field for several years. Rachel has two wonderful children -- Alexis and Elijah. You will likely spot her enjoying some good food at her favorite restaurants! Heather is one of our newest clinical staff members! She has made a career change to the medical field and is excited to learn! Heather is happy to assist with your testing. Heather is married to Danny Waycaster and they have two beautiful children -- Logan and Emma Grace. Michelle is one of our clinical staff members! She made a career change to the medical field--and we are so glad she did! You will see her smiling face in pretesting. Michelle has two children -- Savannah and Hunter. You'll see Michelle at all Mustang games and be sure to ask her any questions about raising chickens!